14K SYNTH. 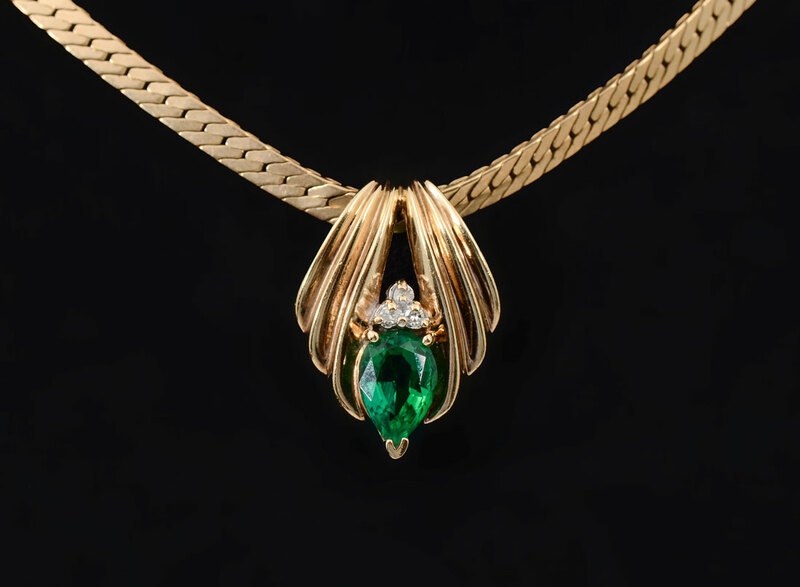 EMERALD & DIAMOND PENDANT: 14K yellow gold pendant contains one pear cut synthetic emerald. Weight: 1.13 Ct. Approx. 3 round single cut diamonds. WEIGHT: .05 Ct. Approx. Rated SI in clarity and H-I in color. 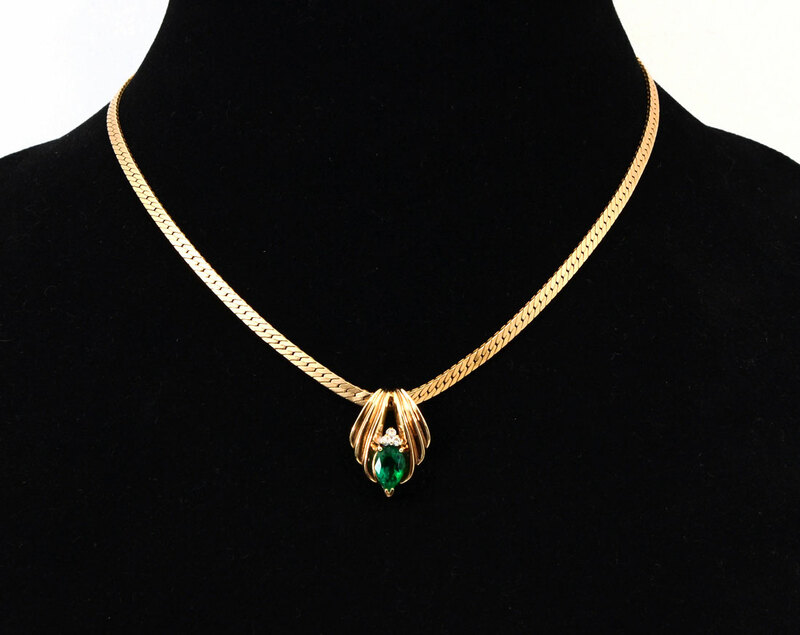 The emerald and diamonds are prong set. 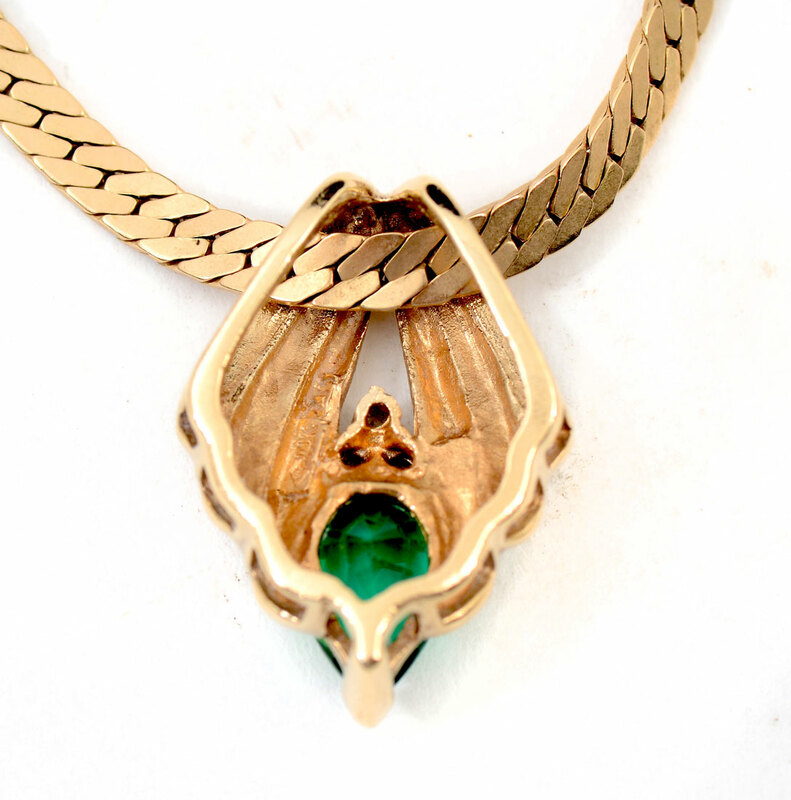 14K 16'' chain attached. Weight: 15.4 grams.